They don't make 'em like this very often: A 7-footer with infinite range that could still play with his back to the basket. It took him awhile to find his niche, but when he did, it wasn't safe anymore. Many labeled him soft and rightfully so. He didn't let that get him down, though. Dirk worked and became a better rebounder and defender. He led the Mavs to nine straight playoff appearances in this era and a trip to the Finals. 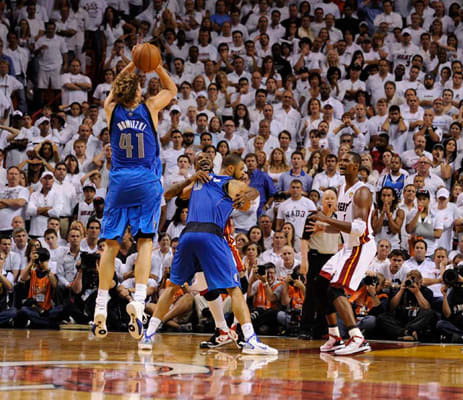 After years of disappointing playoff losses, Nowitzki and the Mavs finally broke through and won the title last year.